Here are a few of our favorite images showcasing Houston newborn and family photography by Belly to Baby Studios. 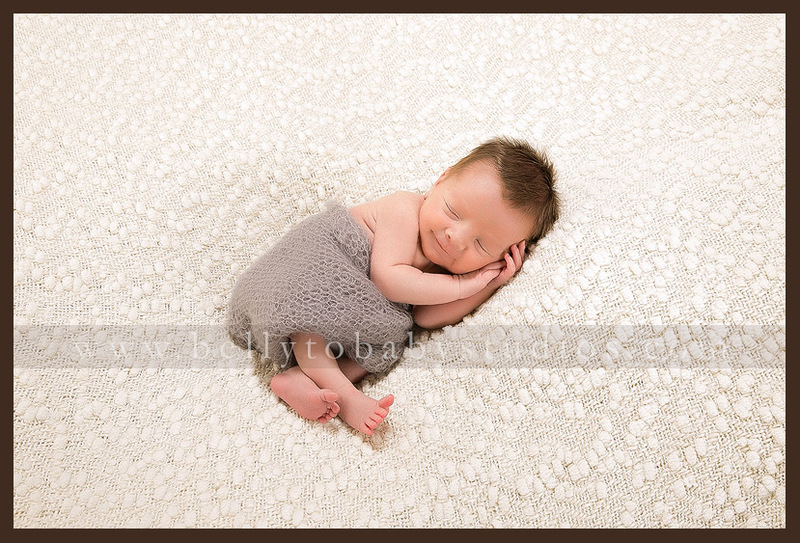 Their session included newborn portraits of their 10 day old son, Lucas, as well as family portraits. We always recommend scheduling newborn portraits when you baby is between 7-10 days old. If you can plan ahead and schedule during your pregnancy that’s great! We know life does not go as planned and you get busy. Many Moms call us from the hospital to schedule their baby’s newborn portraits. We anticipate this and leave room in our schedule to accommodate last minute newborn and family portrait sessions. How long has this person been a photographer? Are they a hobbyist or pro photographer? What type of accreditation or professional organizations does this photographer have? We have been professional photographers for over 20 years. We have professional camera and lighting equipment. These are our tools of the trade and help us create beautiful portraits for our clients. We are Certified Professional Photographers through PPA (Professional Photographers of America). We always have an assistant on set when photographing your baby to ensure baby safety. This is a top priority for us. When calling studios it is important to preview their portfolio first. 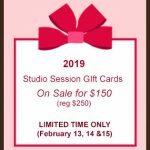 Make sure you love what you see and you can envision having your portraits taken at that studio. Ask about the props and what is included with your newborn session. While it might be tempting to select a newborn photographer based on price, it’s best to not always go with the cheapest. Your time is valuable and your baby is very important to you. We have received many calls from clients that have had their session in the hospital or with another studio and they were not happy with the quality of images. 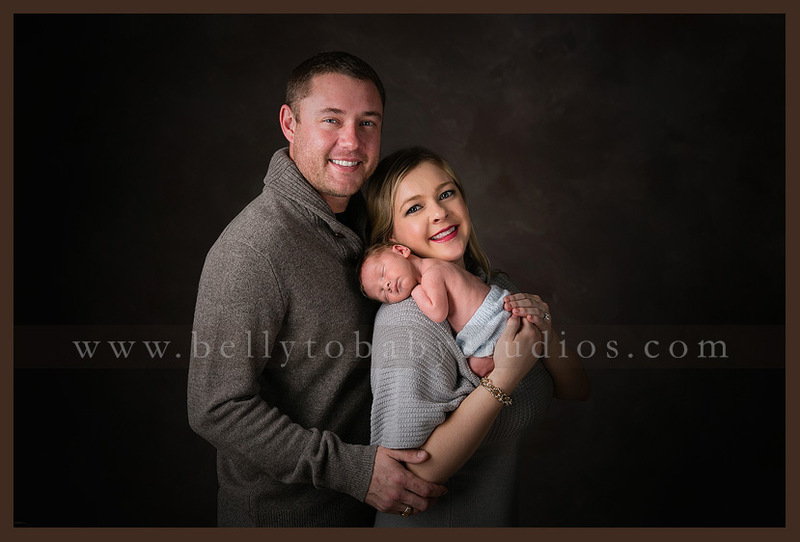 We will guide you through your family portrait session and make sure you look your best after having a baby! After your session, we will help you select your favorite images and help you decide which portraits should go on your wall or in your album. All our portraits and albums are printed at a pro lab and you can definitely see the difference in quality with our products. 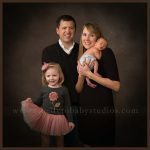 Lisa Carr, of Belly to Baby Studios, is a Houston based full time newborn and family photographer. Our studio photographs maternity portraits, newborn portraits, baby portraits and family portraits. We help you and guide you all the way from Portrait session concept to Portrait completion. We love to create finished artwork for our client’s home. The artwork will appreciate over time and provide years of joy. When you view our Portraits and albums, they will take you back to a moment in time that in the end will slip by so quickly. You can view more of our newborn portraits , Maternity Portraits and our Family Portraits on our site. Our studio is conveniently located in the Galleria area, in a professional office building. We have a private nursing lounge so you can relax and feed your baby between sets.